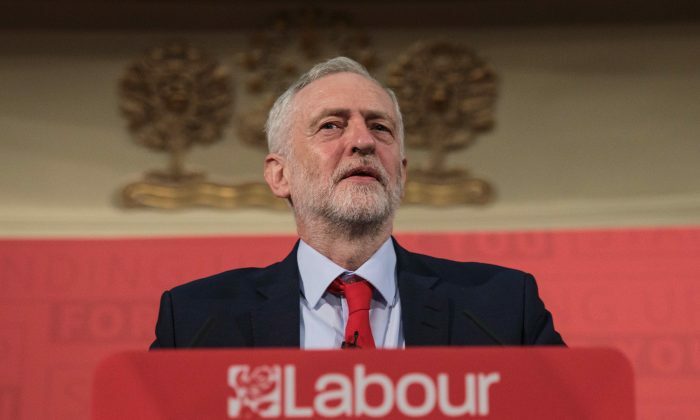 The three most prominent Jewish newspapers in the UK have warned that a government led by British Labour Party leader Jeremy Corbyn would pose an “existential threat” to Jewish life. A Labour spokesman said the party recognized the concerns raised by the Jewish community but acknowledged there was a “huge amount of work to do” to build trust and confidence. The three papers say that Labour should adopt the International Holocaust Remembrance Alliance’s definition of antisemitism. Last week, Labour’s National Executive Committee adopted a watered-down definition of anti-Semitism that the Jewish Leadership Council said would anger many Jewish people in the UK. It was also criticized by some of its own lawmakers. It comes as British Labour politician Margaret Hodge reportedly called Corbyn “an antisemitic racist” in the House of Commons. Writing in The Guardian, Hodge criticized the “arrogance” displayed by the Labour leadership and attacked the party for not adopting the International Holocaust Remembrance Alliance’s definition of antisemitism. Labour has been wrestling with accusations that it has been tolerant of antisemitism among some of its members, and in April, leaders of Britain’s 270,000 Jews organized a protest accusing Corbyn of failing to address their concerns. The disarray over Brexit in Theresa May’s government has aided Labour, with the party taking the lead in some opinion polls. The three newspapers’ stance gained support from some politicians within the Labour Party. Corbyn has previously apologized for what he called “pockets” of antisemitism in the party and promised to stamp them out.